An 18-wheeler transport truck became hung on the tracks as it attempted to cross in downtown Mer Rouge, Louisiana right as a passing train was barreling through. 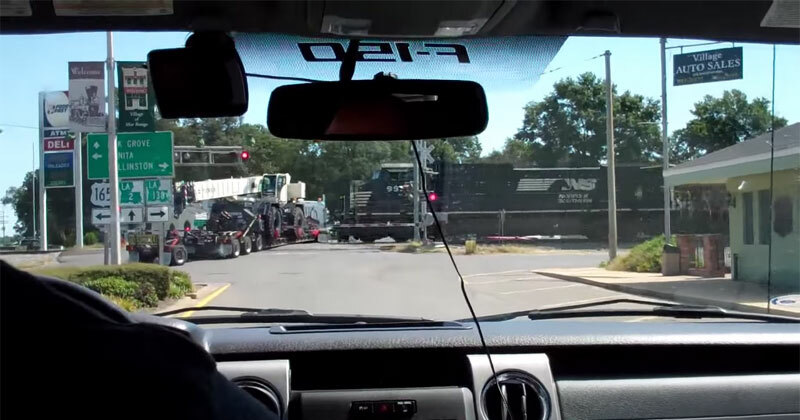 The collision was caught on film by a husband and wife who were stopped at the train crossing. The accident occurred on 5 October 2014. According to News Star, the driver of the truck jumped from his vehicle before the collision and was uninjured. Unfortunately, two train engineers remain hospitalized in serious but stable condition.